Arnold Johnson as Putney Swope. 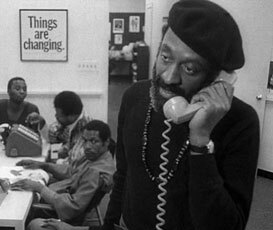 Yesterday afternoon we took a trip to the new Black Cinema House space on 72nd and Kimbark to see the 1969 film, Putney Swope. The screening featured an introduction by comedian, Wyatt Cenac, who was wearing a knit sweater like you wouldn’t believe. Cenac’s choice for the screening felt uncanny in the gorgeous new home of the Johnson Publishing House archives, including a very 1970’s light up table from their offices. 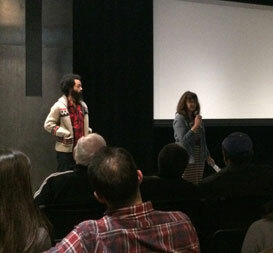 BCH Program Manager, Penny Duff, introduces the film with Wyatt Cenac. After the film was over a robust discussion started on the reception of the film when it was originally released, Robert Downey’s dubbing of Arnold Johnson’s voice, blacksploitation films, hip hop history, education and possible proscriptions for current day cultural production. Cenac was an excellent moderator, letting others direct the conversation. Amongst other insightful contributions, Pemon Rami, Chicago’s first black casting director and the current Director of Educational & Public Programming at the DuSable Museum, discussed his impressions of the film having seen it in ’69 and again Sunday at the Black Cinema House (he mentioned he was fazed by the “buffoonery” on his recent viewing). Black Cinema House is hosting more great programming at their beautiful brand spanking new space throughout the rest of the year, including hosting experimental filmmaker Akosua Adoma Owusu on November 14th. Check out their calendar of events here. Both On-line and IRL Reads for your Educational Delight. Chloé Griffin presents Edgewise: A Picture of Cookie Mueller. Tomorrow night get yourself to Quimby’s to see and hear one of our favorite local writers, Britt Julious discussing the life and legacy of actress, Cookie Mueller, with author Chloé Griffin. Tuesday, 7PM at Quimby’s. Free, our favorite flavor. 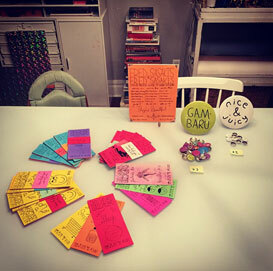 Inside Views: Micro Publishing at Spudnik Press. 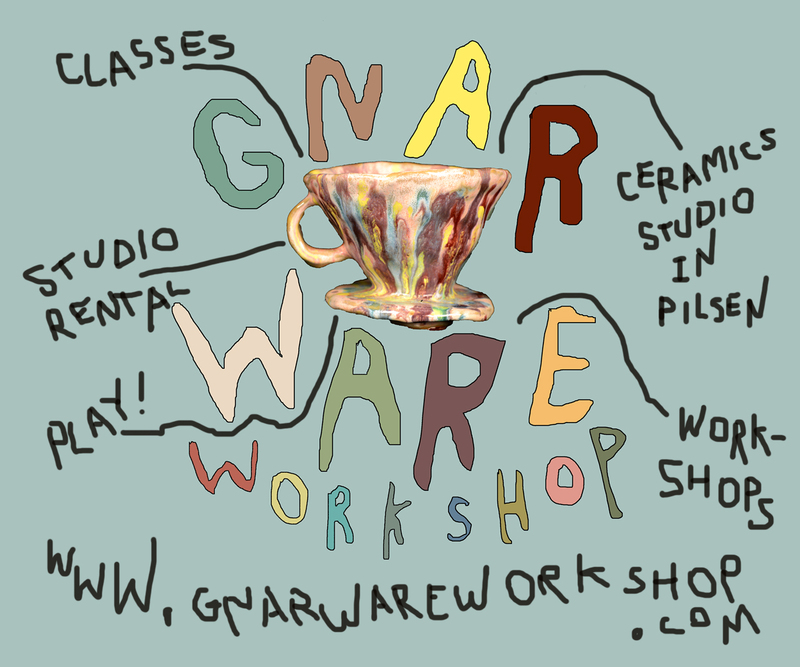 Featuring artists Charlie Megna, Veronica Siehl and April Sheridan and the The Perch, this Wednesday evening event is a no-brainer for lovers of community based art making and publications (like ourselves). We’d be loathe not to mention the world premiere of the short animations of Fred Sasaki’s & Fred Sasaki’s Four Pager Guide to: How to Fix You!. The Sasaki guides are already killer, and the film promises to knock you off your socks (and to fix you, of course!). Don’t forget to RSVP! Fred Sasaki’s “Table of Value” prep for Wednesday. Stolen from the writer’s instagram account. 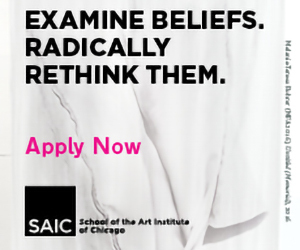 What is a work of art in the age of $120,000 art degrees? Sometimes trends are actually important and right now, statistics are #trending. If you haven’t seen the BFAMFAPHD video report yet, let us help you get up to speed. Watch the video, then listen to B@S interview Caroline Wollard. You should probably also read Abigail Satinsky’s questioning “Who Pays Artists?” and possibly also this statistics filled response from the Washington Post. Caught up? Ok, great. Now let’s do the damn thing! We’re pretty sure you know what Mexico-based artist Andrew Birk is talking about in his comment above. 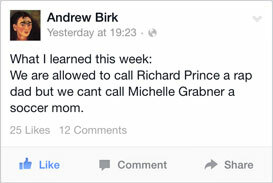 But if not, here are the pieces on Grabner and Prince. Talk amongst yourselves. A Poet on Drake’s Poetics. So you know it must be true. Read Dorothea Lasky’s ode to Drake, where she sings the praises of his direct address on the occasion of the Canadian actor turned something like a rapper’s birthday. We feel you, Dorothea. But if you’re looking for some “real” poetry, check out her killer new book of poems, ROME. Sunday Thoughts by Clay Hickson from the artist’s tumblr. Talk about a #tbt. When was the last time you visited Happy Dog? The former SAIC party rocking spot is way cleaner than you remember and the bathrooms have upgraded from their former horror-movie quality. Oh, and they hosted last Saturday night’s extravaganza for the DVD & VHS release of Lindsay Denniberg’s Video Diary of a Lost Girl. 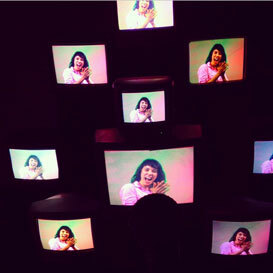 Monica Panzarino’s video installation featuring Erica Gressman. Photo by Mikey McParlane. The evening started with performances by Denniberg and self-surgery maven Erica Gressman aka Boogita. The space was scattered with video installations by Monica Panzarino on stacks of TV screens throughout. Happy Dog’s head dog, William Amaya Torres, had gigantic inverse prints of what appeared to be sketchbook pages installed throughout the house. We hadn’t seen work from Amaya Torres since our days at SAIC together. His prints were bold and appealing, they also had the benefit of darkening the space for the screening. Alongside VDoaLG in the program was first year UIC MFA, Jimmy Schaus, with a 16 minute short titled Kangaroo. Schaus is the protagonist in the surreal dream scape of a film, which vacillates between the main character’s boring everyday life and the business casual demons who haunt him. 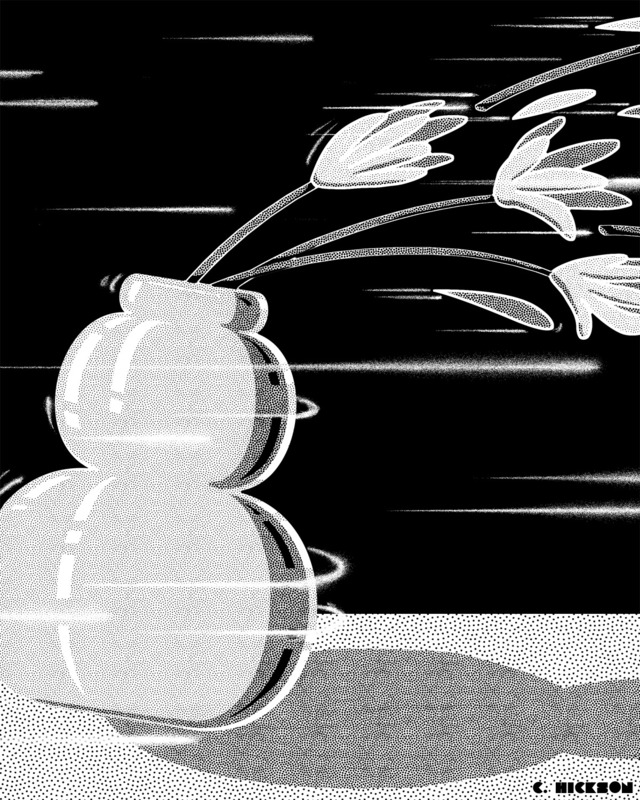 Kangaroo impressively manages to riff on VHS effects and color distortion without being cheesy. We hope to see more from this budding filmmaker in the near future. The world premiere of Kangaroo by James Schaus. Video Diary of a Lost Girl looked better than ever Denniberg’s handmade VHS packages. We highly recommend getting your hands one of these beauts, even if, like us, you don’t have a VHS player. Yes, they are that cute. We’re not really sure where they’re available aside from in-person, but the filmmaker’s website is probably a good start. Here’s lookin’ at you, Chicago! 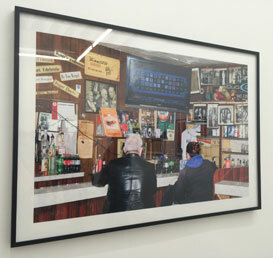 We loved this exhibition by Daniel Arnold in Paris London Hong Kong, that’s the Billy Goat Tavern in the photo! 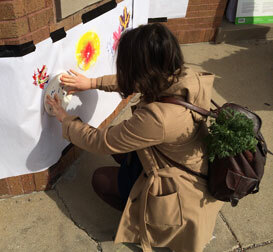 The current crop of Art Admin MAs at SAIC hosted mural making an other arts & crafts at the Logan Square Comfort Station just outside of the penultimate neighborhood farmer’s market. 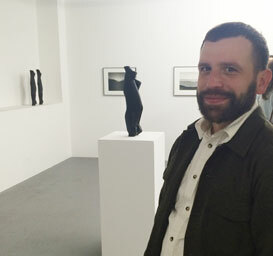 Greg Stimac and his coy grin at his Document opening on Friday night. We’re so in to those we’re gun sculptures that look kind of like legs! Sense of déjà vu overwhelming at photo exhibition. Artist align under themselves for Germanos exhibition. 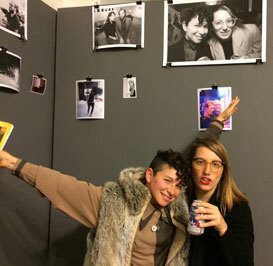 We’re not really sure how, but Paul Germanos (the man with the camera and the motorcycle) somehow managed to assemble an impressive array of artists and makers for his exhibition at Antena Gallery in Pilsen last Friday night. Artist sat casually under photos of themselves, and as participators ourselves WTT? couldn’t help by snap a few re-takes. 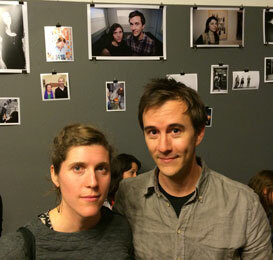 Marissa Lee Benedict and David Rueter pose in front of themselves at Antena. Daviel Shy and Hope Esser creatively interpret their photo on the wall. Cute! 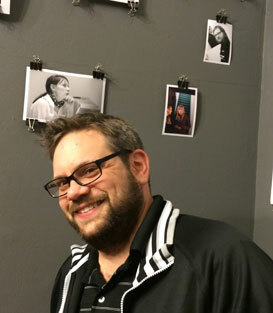 Erik Wenzel does the Wenzel in front of his small likeness in the corner. 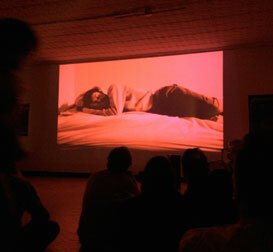 Header features an image from Paul Germanos’ opening at Antena Gallery last Saturday night.